While many families around the United States will be trick or treating on October 31st, our family has chosen to celebrate an event in Church history that is worth remembering. On October 31, 1517, in Wittenberg, Germany, Martin Luther nailed his Ninety-Five Theses on the Power of Efficacy of Indulgences to the door of the Castle Church. This moment in time has been noted as the spark of The Reformation which brought about the establishment of the Protestant Church. This Protestant Reformation was very important in the preservation of the Gospel in the face of the Catholic Church which at that time had replaced God’s truth with the traditions of men. Martin Luther had a seal also known as The Luther Rose. 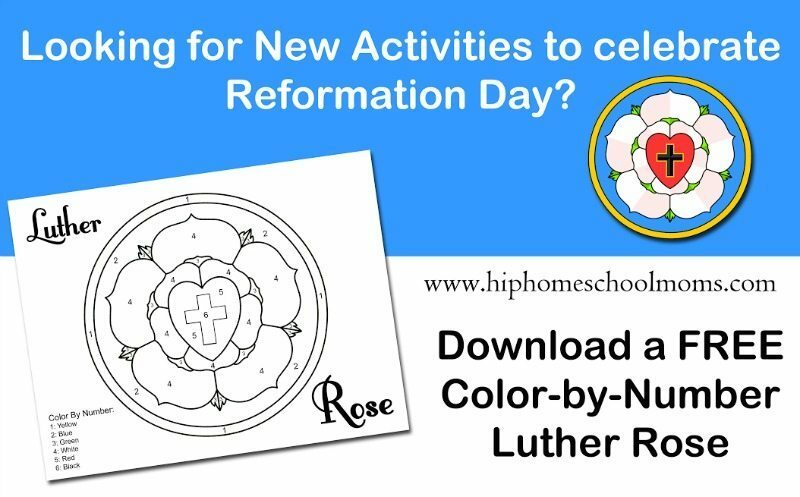 As one of our many Reformation Day activities this year I plan to do a color by number coloring sheet of The Luther Rose with my children as well as teach them the meaning of it. “Grace and peace from the Lord. As you desire to know whether my painted seal, which you sent to me, has hit the mark, I shall answer most amiably and tell you my original thoughts and reason about why my seal is a symbol of my theology. The first should be a black cross in a heart, which retains its natural color, so that I myself would be reminded that faith in the Crucified saves us. ‘For one who believes from the heart will be justified’ (Romans 10:10). Although it is indeed a black cross, which mortifies and which should also cause pain, it leaves the heart in its natural color. It does not corrupt nature, that is, it does not kill but keeps alive. ‘The just shall live by faith’ (Romans 1:17) but by faith in the Crucified. Such a heart should stand in the middle of a white rose, to show that faith gives joy, comfort, and peace. In other words, it places the believer into a white, joyous rose, for this faith does not give peace and joy like the world gives (John 14:27). That is why the rose should be white and not red, for white is the color of the spirits and the angels (cf. Matthew 28:3; John 20:12). Such a rose should stand in a sky-blue field, symbolizing that such joy in spirit and faith is a beginning of the heavenly future joy, which begins already, but is grasped in hope, not yet revealed. And around this field is a golden ring, symbolizing that such blessedness in Heaven lasts forever and has no end. Such blessedness is exquisite, beyond all joy and goods, just as gold is the most valuable, most precious and best metal. This is my compendium theoligae [summary of theology]. I have wanted to show it to you in good friendship, hoping for your appreciation. May Christ, our beloved Lord, be with your spirit until the life hereafter. Amen.” – July 8, 1530, Martin Luther wrote a letter to Lazarus Spengler explaining this symbol below. You can download your copy of the color by number Luther Rose Seal by clicking here. Would you like to see more Reformation Day activities? CLICK HERE. Lindsey is a homeschooling mommy to five children six years and younger. She and her husband have enjoyed 8 blessed years together. Lindsey's joy is in her family and her passion is in her work. Lindsey is an author at The Road to 31 and designer at Crisp Apple Design. 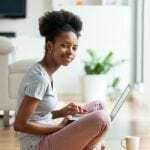 She enjoys writing on topics that challenge Christian women in their faith, encourage mothers in their homemaking, and strengthen the family unit. Reminds me of when I attended Lutheran Grade School growing up.